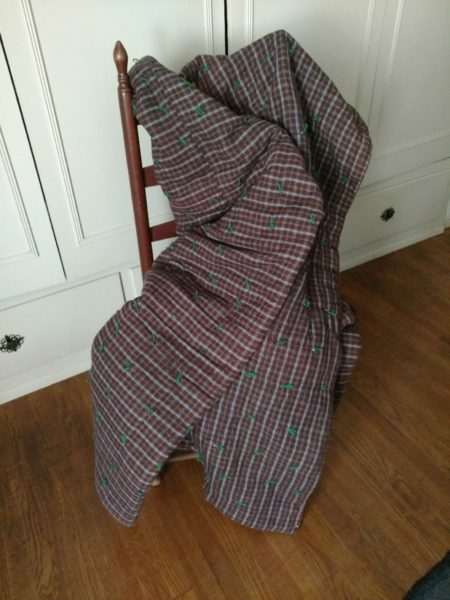 Here’s a vintage brown plaid flannel fabric tied comforter bedding dating from the 1920’s. Just charming for decorating a country rustic cabin or farm house home. This cozy comforter is home sewn, filled with thick cotton padding, then tied with green yarn. Find out more about this product HERE! Prefer to shop in our Etsy store? Find out more HERE! Sign up HERE for New Arrivals and Monthly Specials delivered to your Inbox!